Mahindra will be introducing the facelift of the SsangYong Rexton SUV under rebadged as a Mahindra in the Indian market. This flagship SUV was rumoured to be called the XUV 700 when it was first unveiled the Delhi Auto Expo earlier this year. 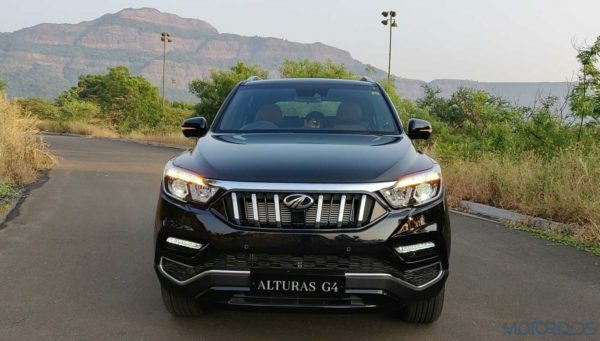 Well, Mahindra dropped the alpha-numeric name and has christened this SUV the Alturas G4. We spent some time with the production-ready version of the car and here are our thoughts on this full-size SUV. 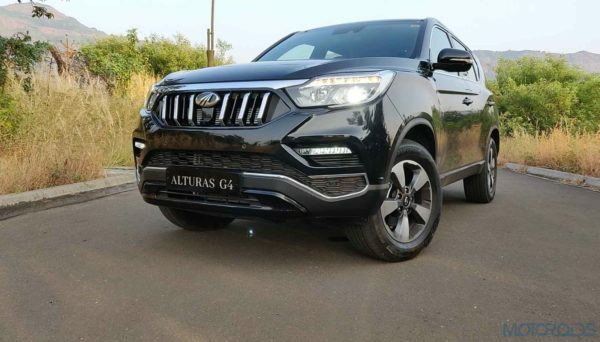 The Alturas G4 is a huge car but it carries its dimensions in a very sophisticated manner, no bully-like aggression here. The front end gets a chrome grille which is recognisable as a Mahindra in the first glance. The headlights look nice, get LED DRLs and a conventional bulb projector. The fog lamps are LED units and look rather nice at the lower end of the bumper. on the side, you have a chrome strip surrounding the greenhouse area which gives the car a premium feel. The wheels are 18 inchers wrapped in 265 section Hankook tyres. The sophisticated look continues to the rear of the car but we would have loved to see a shark fin antenna in such a premium offering. The spoiler has a stop light and the taillights are quite conventional with a LED strip in them. A chrome applique connects the below the number plate is the Alturas G4 badging in a very large font. 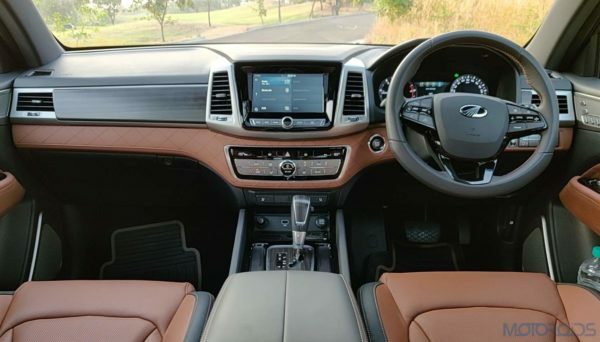 Step inside the cabin of the Alturas G4 and you will find it difficult to believe that this is a Mahindra product. The dash gets a leather treatment and faux wood inserts which look very premium. The buttons and dials are of supreme quality and feel good to touch. The seats are covered in leather and have a really nice stitch pattern to them. Moving to the second row, the space on offer is generous, we would have loved a bit more of under-thigh support. The third-row seat can accommodate a 6-foot tall passenger but only for short drives and the dark theme interior does add a sense of claustrophobia in the back. The tailgate of the SUV is electrically operated and the boot is of a decent size. It also comes with a shelf to segregate your goods. The third row can be folded down to create more space for whatever you wish to take along with you. The Mahindra flagship comes loaded with a ton of features. The driver gets a MID in the instrument console which provides a tonne of information. At the centre is an 8-inch touchscreen infotainment system which offers a variety of smartphone connectivity options including Android Auto and Apple CarPlay. The screen also acts as a screen for the 360-degree camera which is seen for the first time in this segment. 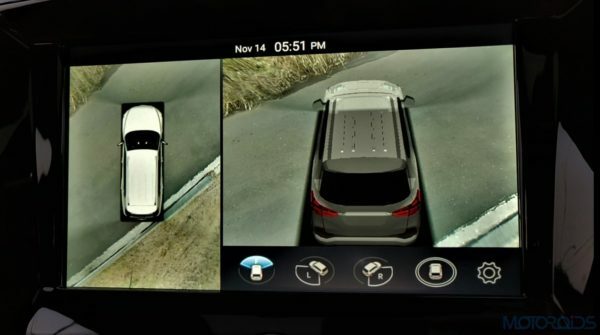 The camera offers a variety of angles to choose from and even a 3-d projection of the car which would be useful to navigate this huge SUV through tight spaces. Apart from that, the SUV offers 2-zone climate control, ventilated seats for the first passengers and as many as 9 airbags. The irritating high-speed alert chime makes its way in this car as well. Under the bonnet of the Alturas G4 is a SsangYong sourced 2.2-litre diesel engine which generates 178 bhp and 420 Nm of torque. The car we drove was a 4-wheel-drive model which gets a shift on fly dial, 2-wheel-drive variants will also be offered once the SUV comes out. Transmission options are a 6-speed manual or a Mercedes-Benz sourced 7-speed automatic like on the one which we drove. There are no driving modes as such but you do have a snow mode for the snowy regions of the country. The SUV drives good, the power surge comes in after 1,500 rpm after which the engine comes to life. The car is a decent handler and the body roll is well contained for a car this size. The engine is very silent but gets noisy above 2,700 rpm. According to the MID, the car delivers between 8 and 10 kmpl. More on the drive in the video linked below. In conclusion, the Alturas G4 is a nice package which offers quite a premium feel. Aimed against the likes of the Toyota Fortuner and the Ford Endeavour, this car is worthy enough to go right against them. In the end, it is a good product but how good is a question which we will be able to answer only after the price of the car is out soon after the launch of the car. Stay tuned to know more on the price of this car and in the meantime do check out the image gallery of the Alturas G4.